I got off the bus with 15 pages left to read in this book. Rather than walking the quarter mile home I immediately planted myself on a park bench and sat in the 110 degree heat to finish the book. 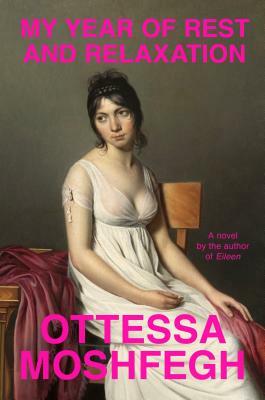 How a book about a woman desperately trying to sleep away an entire year could be so gripping is something that can only be explained by the fact that Ottessa Moshfegh is a writer of almost incomparable talent. This book deals with grief, isolation, identity, and it's darkly hilarious. All this and you rarely even leave the setting of the narrator's apartment. This will go down as one of the year's best novels.